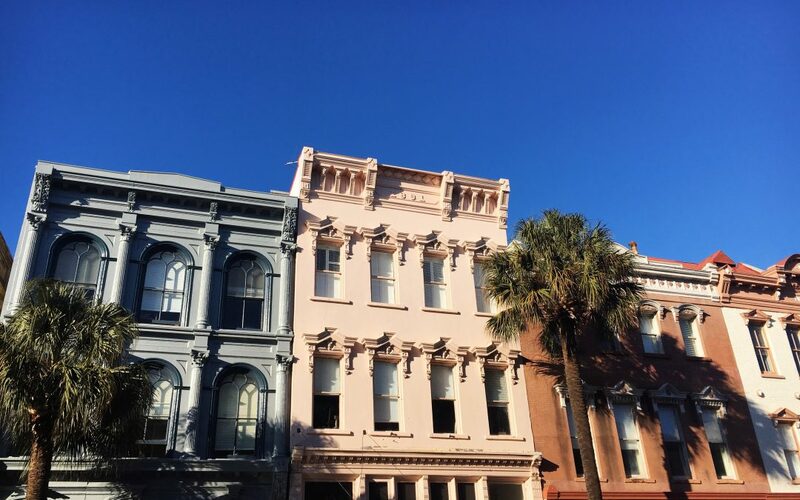 Kings Street in Downtown Charleston, SC. The week of February 5th marked the fourth biennial Social Coast Forum – a three-day conference in Charleston, South Carolina aimed at exploring, highlighting, and understanding the human component of coastal resource management. Understanding people – where they live, what they do, and what they value – is an important component of successful coastal management, and this conference is an opportunity to learn from our colleagues who are using innovative techniques for empowering and engaging stakeholders to achieve desired outcomes. Attendees represent federal and state agencies, nonprofit organizations, universities, and community groups who are at the forefront of these efforts. Everyone is willing to share their experiences – successes and failures – to improve social research for coastal management, and we were grateful to have had the opportunity to participate this year. We were humbled by this opportunity, but as you’ll read below, we are not the only group starting to incorporate social indicators into our work. Conference attendees ranged from experts with decades’ worth of experience and graduate students just starting to practice social science for coastal management. Regardless, everyone was open to hearing about each other’s experiences and sharing their own. Over the three days we were repeatedly brought back to Rebecca Roth’s – of the National Estuarine Research Reserve (NERRA) – opening remarks and how we are all agitators. campaign to arouse public concern about an issue in the hope of prompting action. As resource managers, social scientists, extension specialists, and more, we truly are agitators working – striving – to arouse public concern for issues such as sea-level rise, erosion, nonpoint sources of pollution, and flooding in the hope of prompting regulatory protections, changes in individual behaviors, increased land conservation, and more. Example of a method for evaluation for meetings. A wealth of information was shared through traditional presentations, short and sweet presentations, demonstrations of tools and models, and some facilitated discussions. In total, we attended over 30 presentations, and our minds are still buzzing from all the ideas we generated over those three days. Instead of a play-by-play of the conference, below are six things we’re bringing back to the NH coastal watershed. Speakers over the three days emphasized the importance of building trust among members within and across communities and research teams. Trust creates safe spaces for competing view points and a willingness among members to be open to new – sometimes difficult – ideas. We cannot build it, release it, and forget it. We’ve heard it or seen it before. A research project is conducted in a community, and although stakeholders may have participated in the process, once the project is completed the maps or recommendations are published in a report that might not get implemented. As we continue to develop products for communities and continue to push for more protective measures for water quality and natural resources we must remember that these projects take care and feeding after the deliverables are complete. The same is true for citizen science projects and other stakeholder engagement efforts. Continued engagement will produce more positive outcomes or all. Some of the New Hampshire ‘Delegation’ in attendance at Social Coast. 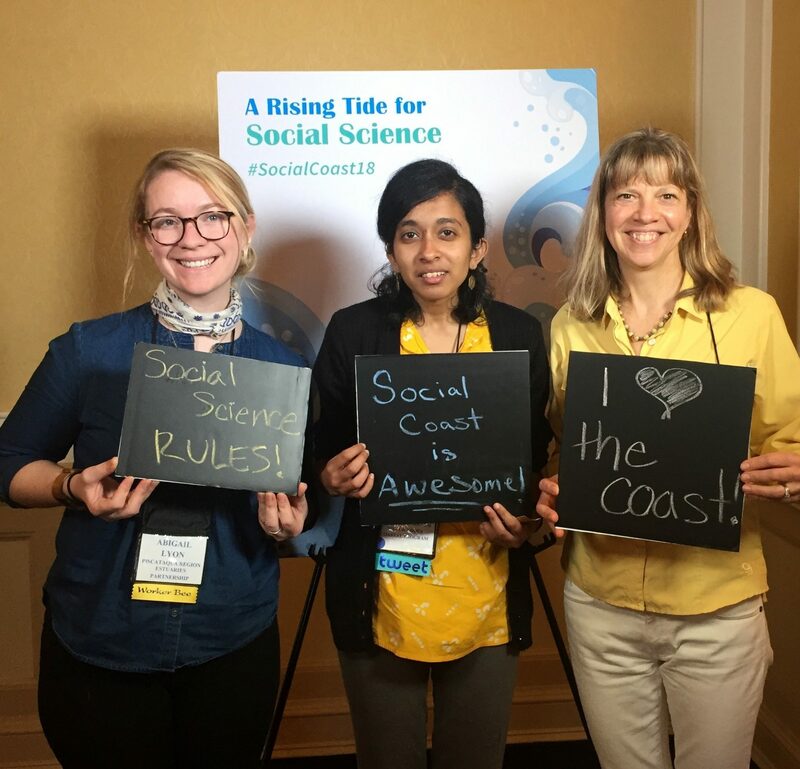 (Left to Right: Abigail Lyon (PREP), Vidya Balasubramanyam (NH Coastal Program, NOAA Coastal Fellow), & Julia Peterson (NH Sea Grant, UNH Cooperative Extension)). Abby’s favorite portion of the conference was “Storytelling Presentations: The Stories No One Tells about Outreach and Engagement.” On Wednesday four brave individuals shared their experiences of failed projects, why they thought they failed, and how they are moving on or working to improve the project in their final stages. Although each presentation covered different topics (collaborative efforts, restoration, research, and community engagement) two themes stitching each together were that we learn from our failures and that we are resilient. Working with people is tricky and there is no way around that. Whether it’s a difficult person in a committee actively attempting to derail a process, outside actors who have the authority to remove a restoration project, or delayed timelines because of unforeseen circumstances we must remember to move forward. Hearing stories of failure from experts in my field also removed some of the pressure in the room. Participants were more comfortable talking about existing projects, how they might be failing, and looking for opportunity to make improvements. Thank you to those willing to share their lessons learned. As a reprieve from sitting in a room listening to one presentation after another, the Social Coast Forum offered a unique “Tool Demonstration and Job Aid Roundtable” where participants can go around visiting different tables to learn about the projects that were on display. Typically, each table had a laptop set up showing cool multimedia such as videos, story maps, and colorful factsheets. 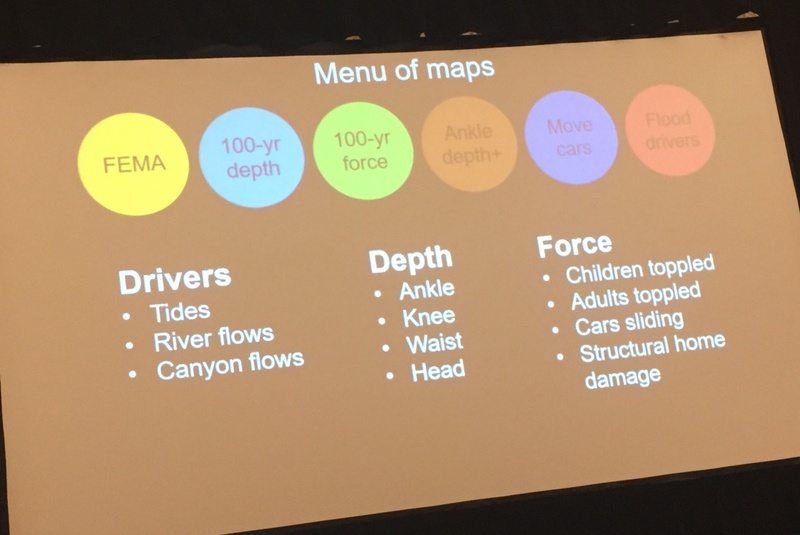 Vidya’s favorite was the “Keeping History above Water” demonstration where we were introduced to the City of Annapolis’ climate change vulnerability assessment through a story map. The engaging visuals that accompanied key takeaways from the assessment was much more effective in conveying information than a traditional report. It was impressive to hear that the story map had become a go-to resource for Annapolis’ residents to refer to for flooding information. 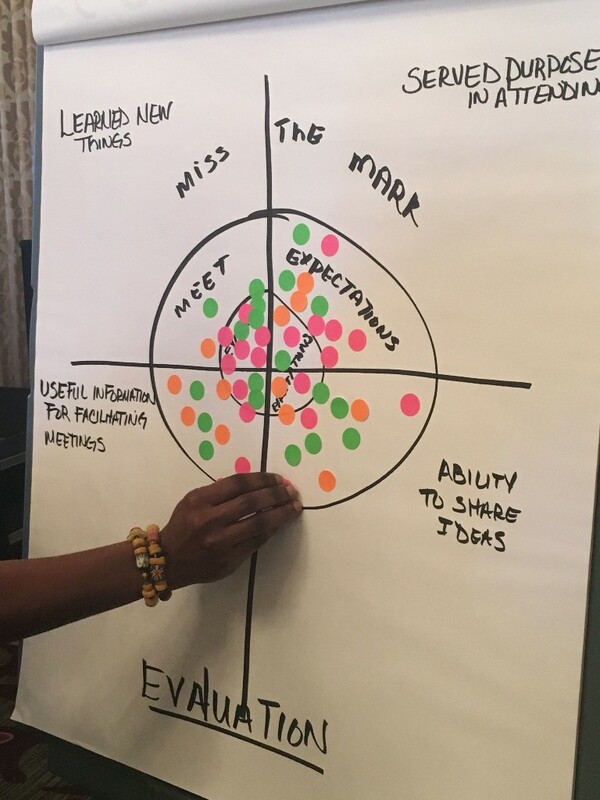 Similarly, another session called “On-the-Spot-Skill-Building” introduced us to alternative ways to frame important climate issues for those who are unfamiliar with technical terms. For example, have you considered saying “Osteoporosis of the Sea” instead of Ocean Acidification? Or equating the role of the ocean in regulating our climate system to that of the heart in regulating our body’s blood supply? It’s all about thinking outside the box! Want to successfully adapt to climate change? Focus on equity. The climate question: are the enduring structures we build meant to withstand—and mitigate—climate change? The equity question: are climate risks and opportunities shared equitably? Presenters at the Social Coast Forum offered ideas and examples of how to work on equity, racism, and environmental justice in coastal resource management. Some strategies were as simple as using humility as a tool to position yourself in the way you serve the public. Other strategies were more complex and involved working within an institutional framework to identify socially vulnerable populations and training staff on effectively engaging marginalized coastal communities. One of the presenters pointed out that some indigenous communities already have unique ways of building resilience because of their long-term local knowledge and social connectedness, and that we could learn a lot from them if only we took the time to listen and alter our conventional approaches. Even outside the sessions, Vidya had several productive, meaningful conversations with people about racism and what that meant for climate resilience. She was heartened that people were willing to be allies to those who’ve been marginalized, and were proactively thinking about how to “rise to the challenge, together” as Susanne Moser aptly titled her report. Finally, upon reflection throughout the three days we realized that we are all still learning, but that we have opportunities to learn together. Social science research for coastal resource management is continuing to evolve. There is no one right answer, and no one right way to engage a community. We continue learning about specific community values, new science, new facilitation techniques, and new concepts. One Abby’s about to start digging into is the concept of resilience based management. Stay tuned!